Box Text: Tons of games in one! All-new adventures and revamped Kirby Super Star games await. Copy Kirby's foes to gain awesome abilities, or create a Helper to fight at your side! Adventure with a pal or take on up to three friends in touch-screen minigames! 02-08-2014 pacpix Box Text Tons of games in one! All-new adventures and revamped Kirby Super Star games await. Copy Kirby's foes to gain awesome abilities, or create a Helper to fight at your side! Adventure with a pal or take on up to three friends in touch-screen minigames! 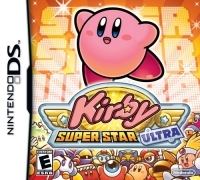 01-17-2012 empovyle Description A collection of revamped Kirby Super Star games and other mini-games. 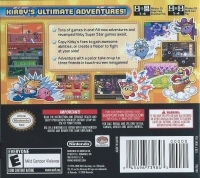 01-17-2012 empovyle Box Text Kirby's Ultimate Adventures! This is a list of VGCollect users who have Kirby Super Star Ultra in their Collection. This is a list of VGCollect users who have Kirby Super Star Ultra in their Sell List. 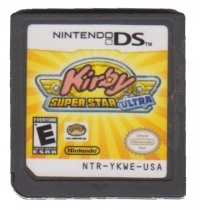 This is a list of VGCollect users who have Kirby Super Star Ultra in their Wish List.